Daily cleansing care for sensitive of adults, children and babies. Soap free, it has an extremely mild washing formula and a pH level which is perfectly adapted to that of the skin, allowing for gentle cleansing. Its creamy lather makes it very pleasant to use and leaves skin soft and fresh. Thanks to its richness in Avène Thermal Spring Water. Thanks to its high cold cream content and its ultra-rich agents. Disodium Lauryl Sulfosuccinate. Maltodextrin. Sodium CocoylIsethionate. Stearic Acid. Water (Aqua). Talc. Cetearyl Alcohol. Paraffin.Ceteareth-6. Peg-45 Palm Kernel Glycerides. Avene Thermal Spring Water (AveneAqua). Beeswax (Cera Alba). C20-40 Pareth-10. Cetyl Alcohol. Cetyl Phosphate.Citric Acid. Fragrance (Parfum). Glyceryl Stearate. Methylparaben. MicrocristallineWax (Cera Microcristallina). Mineral Oil (Paraffin Liquidium), Polyethylene.Sodium Hydroxide. Titanium Dioxide. Triethanolamine. Face and body. Massage over damp skin. Rinse and gently dry. 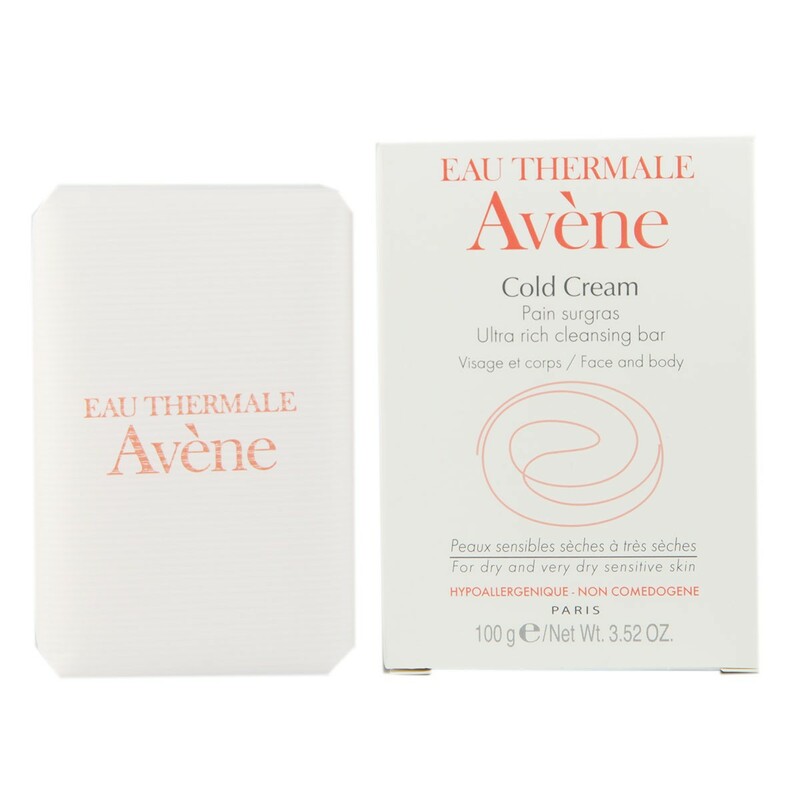 Thank you for your interest in Avene Cold Cream Ultra Rich Soap-Free Cleansing Bar. Enter your email and we'll contact you as soon as it's available again.